Kick off Freaky Fridays for Winter 2010 with McGill Emeritus professor Don Donderi’s first of a four-part lecture series on UFO phenomenon. This lecture explains how and why a psychology professor who studies human perception and memory came to investigate the UFO phenomenon. It will review the chronology of the phenomenon since the first widely publicized sighting in 1947, and will describe the reaction of the media, government, and science as it has evolved over more than half a century. Donderi will then review two cases he has personally investigated. 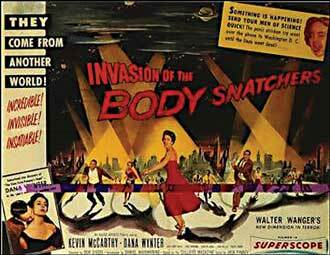 The lecture will be followed by the 1956 classic Invasion of the Body Snatchers. Freaky Fridays – UFOs REAL OR NOT? Jan. 15, 5 p.m., Redpath Museum; Auditorium. For more info, call 514-398-4094 or visit www.mcgill.ca/science/outreach/freakyfridays.